The saying “act like you’ve been there” rings true in so many facets of life and they all pretty much come back to the same underlying principle: gotta keep your cool. It’s also integral to your success in the saddle to keep calm and ride on and to some, that means looking like you’ve been there once or twice, too. 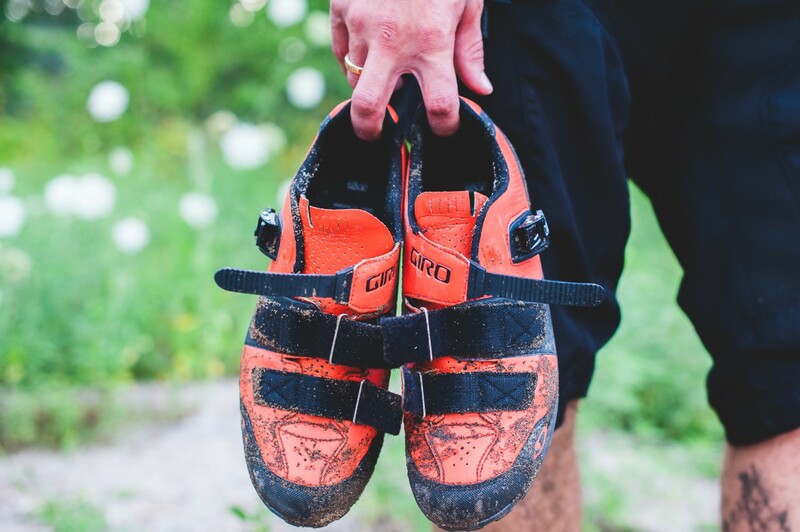 Enter the Giro Terraduro MTB shoe. 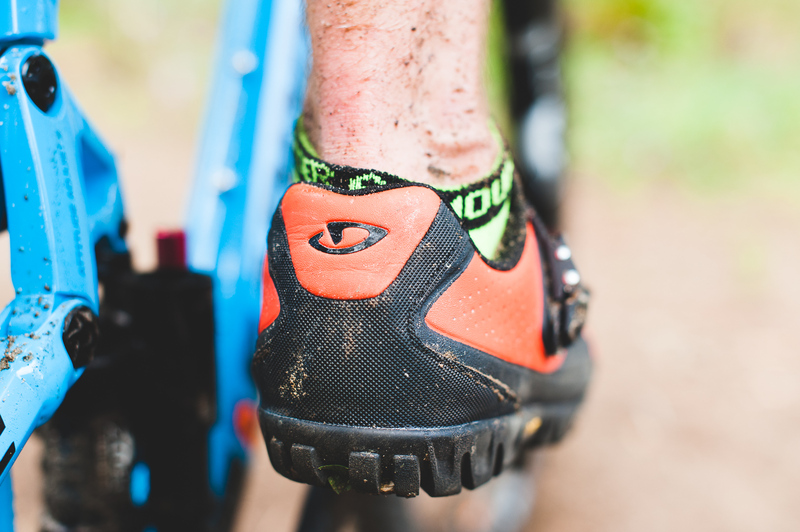 Fitting into the emerging enduro category the Terraduros aren’t race specific and with a recessed cleat bed they can actually handle some off-the-bike travel as well. Outfitted with a Vibram sole and a flexible nylon shank (the racing oriented shoes will have a tractionless bottom and steel like stiffness) that allow confident travel by foot if needed. Offered in Black and this flashy “Glowing Red” the Terraduros offer a range of flexibility, ease of getting on and off (which is a big plus) and caters to those off on hike-a-bike adventures or even time spent off the bike working on trail sections or multi-day bike camping. 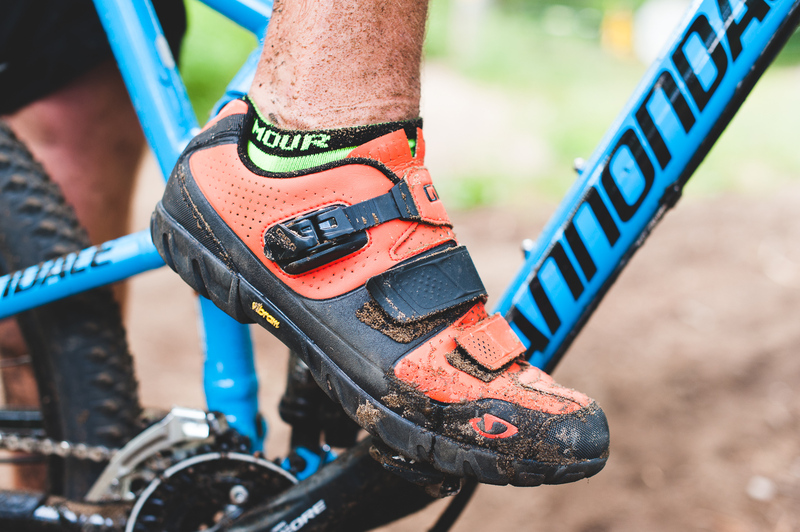 With the recessed cleat bed, you gain traction and longevity and with the high traction lugged outsole makes these a great pick if you need spd compatible adventure cycling shoes. 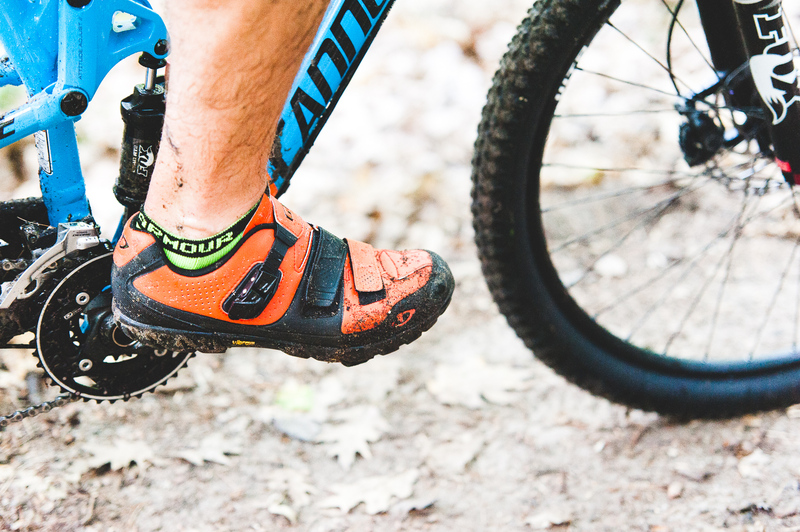 We ran ours during our test sessions with our Cannondale Trigger 4 and ran them muddy, through a stream, in the sand and actually had to use them as hiking shoes so we are thankful for the anti-bacterial footbed that saved us from having to light them on fire after using them so vigorously. We’ve looked at Giro products before and are always impressed with the overall build quality and craftmanship of their products (there was an early recall of this shoe which has since been dealt with) and the Terraduros are no exception. 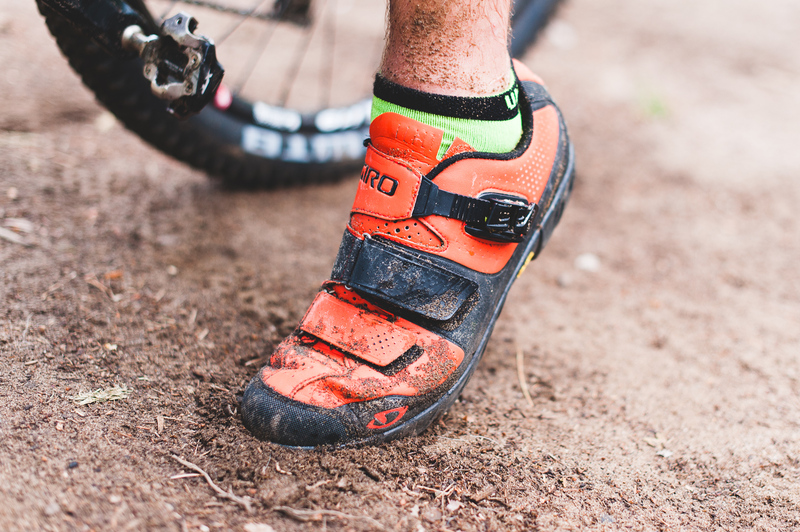 If you’re looking for an all-mountain / enduro shoe that offers great comfort and most importantly, traction off the bike – Take a good look at the Terraduros. Clocking in at about $180 they offer quite a bit versatility for the price. We liked the ratchet / velcro combo to dial in the tightness, the recessed spd cleat and the lugged Vibram sole was the icing on the cake. Find them at your local bike shop.